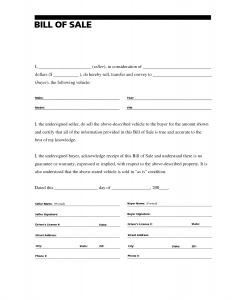 Bill of sale is a legal document which is created on the sell or the transfer of possession of things like a car, boat, furniture, computer or any other personal possessions. The person who sells the product is known as the vendor or the seller and the person who buys the product is called purchaser. Bills of sale are also created in the purchase or sale of some form of intellectual property like a list of clients or a website. The buyer receives the bill of sale from the seller or the owner and it generally includes the names of buyer and seller, price paid for the purchase of a product, the mode of payment used and the details of the product being sold. A Bill Of Sale PDF can have lawful terminology depending on the complexity of the transaction. • Absolute: An absolute bill of sale means that transfer of non-tangible or tangible products is complete and there are no due payments. The transaction is likely to close with complete payments. It is conditional for the sale of non-movable and movable products. • Conditional: A conditional bill of sale is generally used in various property matters where the seller requests collateral from the buyer until the time of complete payment. The non-payment of the amount that is overdue gives the seller the power of claiming complete ownership over collateral. • Buy the bill of sale pdf and download it. 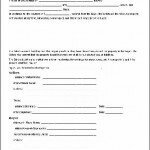 • Open the form that you have downloaded and get a print of the form. • Fill in all the blanks by putting in the correct information. • Making use of a free form download from the web. 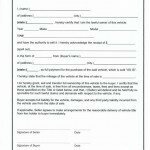 These forms always contain certain errors and most of the times they are incomplete. • Making use of handwritten bill of sale. 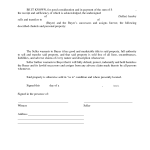 These forms also contain errors and they are also incomplete. • Missing important points like details and description of the product which is being sold. Having a complete detail and description of the product which is being sold is very important. • If a buyer is completely unsatisfied with his or her purchase because the product that he received is not the same as it was described, a bill of sale can be of good use in this situation. 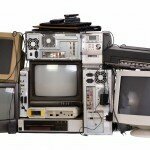 A proper bill of sale that contains the product condition would resolve this issue. • Making use of an incorrect form which does not describe or carry important information. The buyer might face problems in the future when he or she tries to sell the product that was bought. This is because an incomplete bill of sale might lack the VIN number of the vehicle or the Hull number which is the boat identification number. The best way to protect yourself when selling a tangible item with a bill of sale is to have it notarized. The seller and purchaser must be present and sign the document in front of the notary which will protect both parties. This is good business practice no matter what business you’re in. The company I work for offers loans with bad credit and while we don’t notarize loan documents each application goes through an official review process to ensure legitimacy. Steven Bowmen. Is it Mandatory to Make Use of a Professionally Prepared Bill of Sale? Yes, it is absolutely important to make use of a professionally prepared bill of sale. Preparing such bills of sale might be a bit expensive but these provide proper legal protection to the sellers as well as the buyers.